Is There Extraterrestrial Life in Space? Note: I am no scientist and I’m not a really intelligent person but I do love to research, and share what I’ve read and my opinion with others. So please don’t judge and/or criticize me; I’m only trying to share pure interests with others. If you don’t like this post, then please your debate and comments elsewhere and let others enjoy this post. “The universe is big. It’s vast and complicated and ridiculous. And sometimes, very rarely, impossible things just happen and we call them miracles”. For decades, many scientists have tried and failed to find extraterrestrial life, living in space. But today, a new project will be launched to see whither aliens or monsters actually exist. The project, launched by Professor Stephen Hawking will be the biggest project ever to find signs of extraterrestrials. It may take ten years before we’ll know the truth but how scientists will be able to achieve this is very interesting. They’ll be listening out for broadcasting signals, closet to Earth from a million of stars. Could it be possible? Well, the experts seem to have the technology for it and as of 2013, there are over seven billion people living on Earth. So, let’s do some investigating and see what evidence is there for extraterrestrial life beyond the stars. What Other Planets (Apart from Earth) Can We Live On? Well, according to Google research, the closet planet that humans can live on is Mars. Its climate is similar to Earth, but not the same as the air is thin and the planet is nearly full of carbon dioxide. This is because that the atmosphere between Earth and Mars are 55,000 feet above each other. However, just last year, NASA have discovered an Earth-size alien that is about 490 light-years away from Earth. This planet is called Kepler-186f. 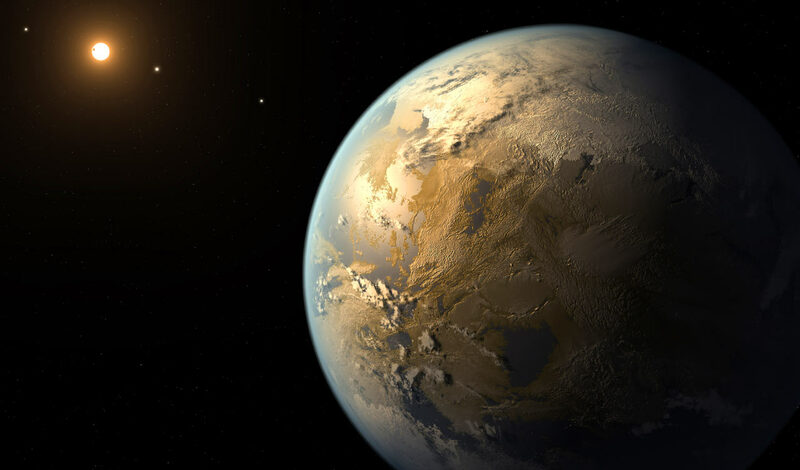 Scientists are unsure what this planet has but a few suggestions of possible life living there. These include water, correct conditions and rocks. So, what are the conclusions to this question? I believe that both planets may have life somewhere. But, Kepler-186f has more chance of extraterrestrial life, based on possible evidence by NASA, as the Kepler-186f has its own solar system. Also, other planets in our solar system may not have the right sources for humans or (I believe) extraterrestrials to survive. But who knows; maybe we might have aliens living on Mars or Jupiter right about now – that debate remains until the truth can be proven. If you are huge Doctor Who, Torchwood, The Sarah-Jane Adventures or any other Sci-Fi fans like myself, then you’ll properly know what I’m talking about. Growing up from television shows, we have seen many different forms of aliens based on our imagination. But if aliens do exist, they defiantly won’t be small green creatures that’s for sure. Will Be Able to See An Alien In Our Lifetime? According to an article by Deborah Netburn from the Los Angeles Times, top NASA scientists say that we may discover extraterrestrial life within the next ten to twenty years. Well, I guess that’s all said and we’ll wait and see. In conclusion, I believe that there is extraterrestrial life in outer space just waiting to be discovered. It is really an exciting time to read stories and watch news reports on scientific discoveries right now, which, I hope, will continue within the next few years. On a final note, I want to wish all project volunteers the very best of luck with hope that they will find extraterrestrial life. I have faith in this project and I hope that it’ll lead to complete success. Author SezPosted on July 20, 2015 July 20, 2015 Categories Pure Interests, ScienceTags Achievements, aliens, Sci-Fi, science, space and timeLeave a comment on Is There Extraterrestrial Life in Space? It’s big news, there’s big excitement, it maybe bigger than we originally thought it was going to be. I’m of course referring to Pluto, the “original” dwarf planet. The news of NASA’s New Horizons spacecraft, making it’s first visit to Pluto, nine years after setting off into space is a very exciting moment for the scientific world, especially NASA. So to celebrate this amazing, historic event, I’ve to research and now in this special blog post, share five facts about Pluto. For this post, I’ve researched the facts from these websites: sciencekids, space-facts and bobthealien. Please note that these facts and pictures aren’t mine and belong to the original owners. What Does the Name Originate From? The planet Pluto was named after Hades, the Greek god of the underworld, as the name was changed later after it’s discovery. Pluto has one third of water, which is frozen; the planet has three times more water than the oceans on Earth. The last two thirds of Pluto are covered in rock. What’s the Temperature on Pluto? In Pluto, temperatures are around -235 to -210 Degrees Celsius, as it the planet is very far away from the sun. 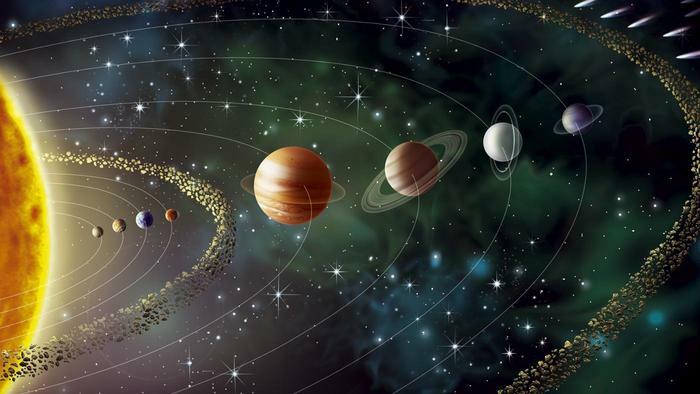 How Long Does It Take for Pluto To Travel Around the Sun? About 248 years! So it’ll take one hundered and two years (2117) before Pluto completes it’s journey around the sun. At a distance of 19,640 kilometres, Pluto’s moon Charon orbits the planet really closely. Because of this, Pluto has the lowest pull of gravity within the Solar System. And there you have it, five, gravity facts about Pluto. I’ve really enjoyed writing up this blog (even though it nearly took me four hours to complete it; I’ve been really slow today) and I hope you have enjoyed reading it.